Faux triple helix piercing - Cherry Colors - Cosmetics Heaven! 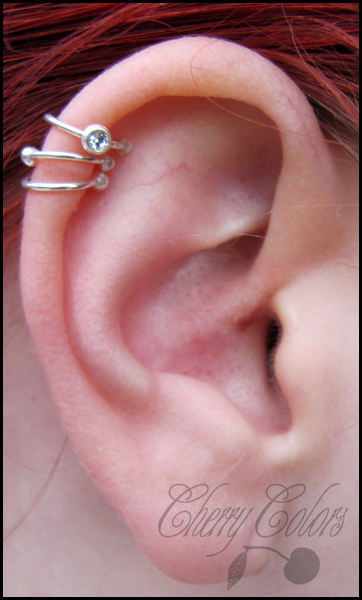 I'm a huge fan of helix piercings, but honestly I don't have the patience to heal any of them. Actually any cartilage piercings (my tragus is being a little PITA). I absolutely love the first one, with the crystal. It's super pretty! Maybe one day those will be real, at least a double helix... Maybe :)! Do you have any unusual ear piercings?